Clayton Petersen has extensive experience in the automotive, petroleum and car racing industries . 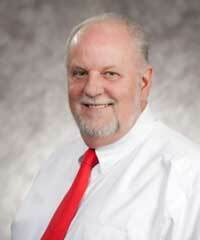 From Nebraska, he moved to Arizona in 1981 and started a career in the insurance industry. Twenty five years later, he built a very rewarding career in sales, management and ownership. Clayton has now decided to expand his horizons into the hospitality industry. And using his sales and marketing background, Clayton sees huge opportunities with unlimited growth potential and many similarities to the insurance industry. He joined HelmsBriscoe in September 2010. Already Clayton has been working on domestic and international programs for a variety of corporate and association clients. He is enthusiastic about this new venture, and looks forward to going to work every day. What more could a person ask for!